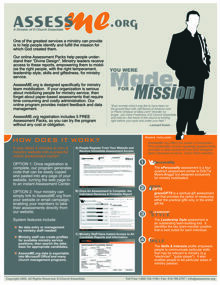 Select to download the AssessME.org volunteer mobilization brochure. Choose this title to download the AssessME.org NextSteps Discipleship brochure. 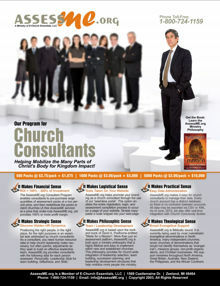 Select the title to download the AssessME.org Church Consultant brochure. Assessments Related to Our NextSteps Discipleship Program – Our assessments include: Felt need analysis and linear spiritual growth. Our FREE Church Consultant Program & Multi-Campus Program – We understand that church consultants may have dozens of client churches at any one time. Likewise, many churches now support multiple church campuses. 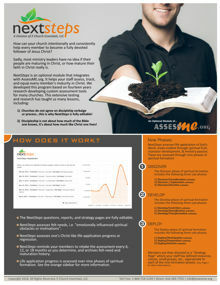 AssessME.org offers a free program specifically designed to support church consultant’s and multi-church campuses.